Lower back pain occurs in different ways and is often poorly managed and evaluated. Because there are many mechanisms by which lower back pain occurs (trauma, overuse (weight lifting for example), repetitive movement), it is important to note that this post will solely focus on sciatic nerve pain. 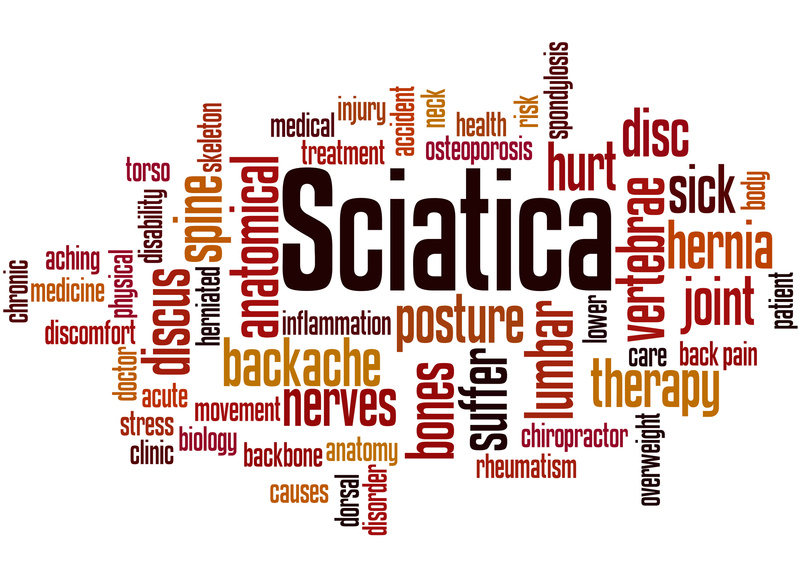 Sciatica describes pain and corresponding symptoms that radiate or shoot down the leg, corresponding with numbness, tingling, and weakness in 1 leg. Often, patients complain of sharp, intense pain when sitting and driving, affecting their ability to place weight on it when one has to walk or move. Their pain can shoot into the buttock, down the back of the leg, into the back of the calf, and finally, the ankle and foot. The sciatic nerve, which is the longest nerve in the body, can become compressed (or entrapped) by certain muscles resulting in this condition. Depending on the location of the entrapment, the individual will present with a variety of symptom patterns. If the problem is diagnosed in the lower back by a sports chiropractor, the issue normally occurs around the hole in which the nerve exits from the spine resulting in symptoms involving the entire leg. If the problem is properly diagnosed in the buttock, it most often involves the piriformis because the sciatic nerve travels underneath it as it makes it way down the leg. It can involve other muscles just below the piriformis, otherwise known as a group of muscles referred to as the hip rotators. If the problem is not in the back, or buttock, then the problem is likely to have occurred in the hamstrings, primarily at 1 of the hamstring muscles, where the sciatic nerve splits the hamstrings in the back of the thigh. It can produce symptoms if compressed in the calf, but these symptoms will be reported below the knee only. When it comes to treatment, sciatic issues like this can be resolved by performing Active Release Techniques (ART) through releasing the entire nerve in which it is compressed. The objective when utilizing ART for sciatic nerve problems is to move the nerve while trapping the muscle(s) in its position. The nerve is pulled through or under the muscle. Also, utilizing rehab exercises through specific stretches and strengthening exercises of the muscle groups involved can allow for faster healing alongside chiropractic manipulation to improve communication between the spine and the location of entrapment/compression. Sports chiropractors treating this typically see change in their symptoms (less intensity, frequency, or pain) in 3-6 visits depending on how long the injury has been present. It is critical that your sports chiropractor evaluating you for this identifies the mechanism of injury first so that specific exercises and treatments are utilized effectively, bringing about relief. Otherwise, this could become mismanaged lengthening the recovery time and frustrating the patient.